The town of Los Algodones in Mexico is nicknamed “Molar City”. It has a population of just 6,000 people and, shockingly, it has more than 500 practicing dentists. This has produced an intense clustering of dental clinics within a four block radius. 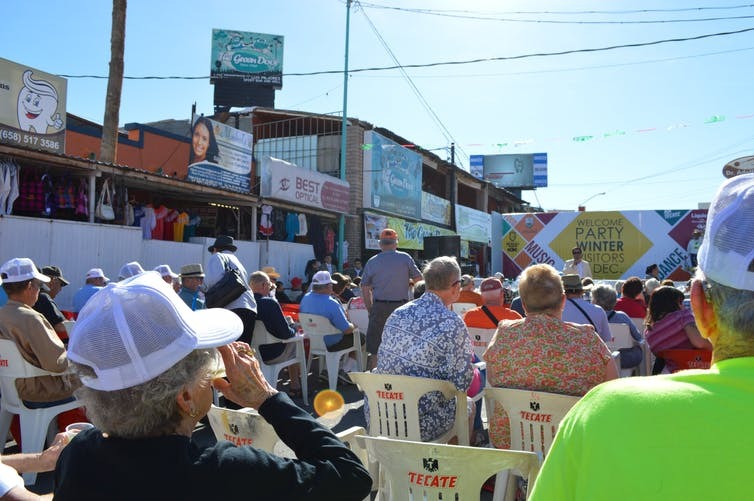 In 2015 and 2016, I spent four months living in Los Algodones conducting interviews and participating in local events for a doctoral research project in health sciences at Simon Fraser University. My work investigates dental travel as part of the wider phenomenon of “medical tourism”—an industry that is growing rapidly as more and more patients seek access to new or more affordable medical treatments outside of their countries of residence. 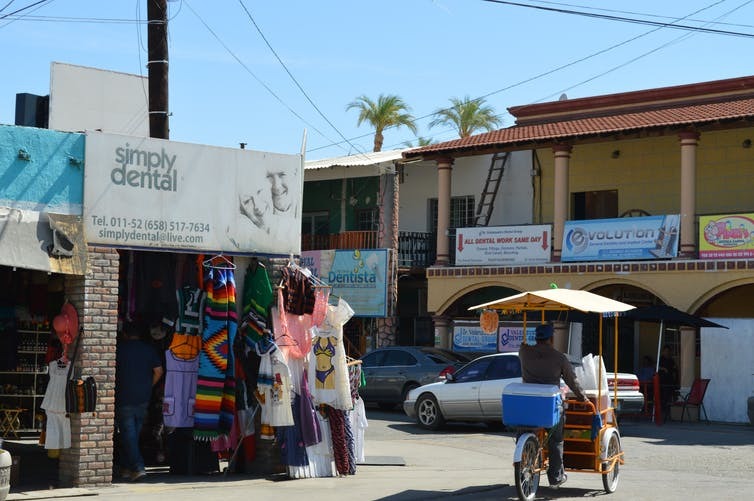 Most of the residents and employees I met during my research in Los Algodones were grateful for the much-needed economic benefits of the dental tourism industry. But I also heard concerns and frustrations from members of the local population. They felt that many of the industry activities were unfair and difficult to change. This regulation is needed to avoid competition between industry sites driving down labor standards in the global industry and diverting health resources away from populations in need. This regulation could enforce acceptable work conditions to avoid a race-to-the-bottom effect as industry sites try to attract customers to lower-cost, desirable medical care. More information about these concerns could also help individuals participating in the industry to avoid harmful practices. It could remind medical tourists that cost savings for care might come at a cost to fair labor standards—and that they should allow sufficient time for treatment and be prepared to pay fair prices.